With over $US60 million raised solely through crowdfunding, “Star Citizen” is officially the most successful crowdfunded project of all time. 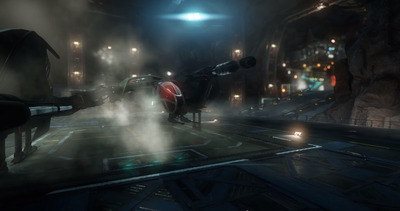 The game’s runaway success is because “Star Citizen” represents the dream video game for many gamers: It’s a space exploration game, first-person shooter, and open-world RPG all combined into one. 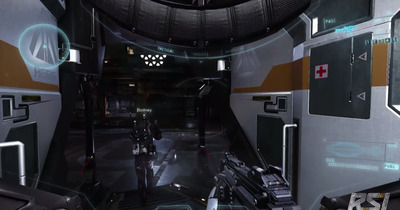 The ambitious scale of “Star Citizen” means that players can decide how to play the game based on the experiences they’d like to have. For example, you can play as a space pirate, smuggler, bounty hunter, salvager, merchant, spy, information runner, or even enlist in the military. 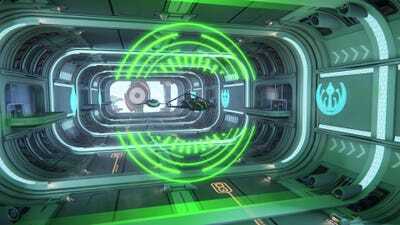 Basically, you’re thrust into a “Star Wars”-esque environment with your very own spaceship and the rest is up to you. 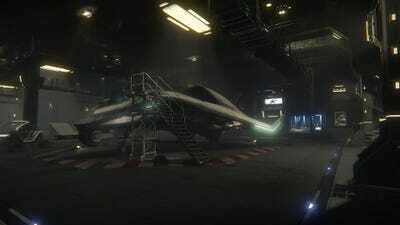 You start out in 'Star Citizen' with your very own spaceship hangar, where you keep your ship. 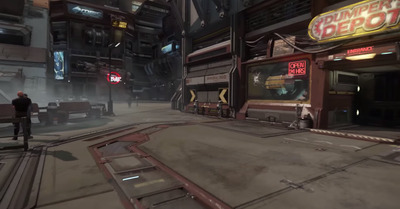 Depending on how expensive or large your ship is, there are different hangar styles. This is the industrial hangar. As you work your way up, you can purchase new ships for specific tasks. This ship, the RSI Aurora, is a ship you get starting out. There are even different ship manufacturers that have their own style. The Origin 350R, a racing-oriented ship, is a luxury brand like BMW. One of the places you can race is the Murray Cup. 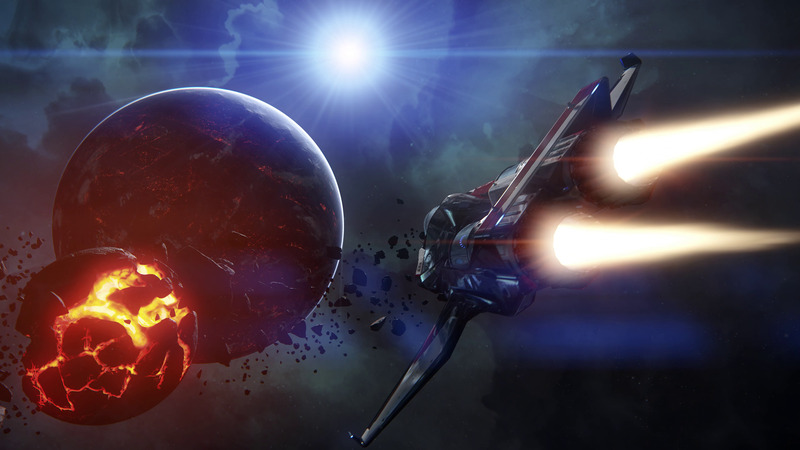 Aspiring space pirates will often choose a Drake Cutlass, which has lots of fire power. It can also carry multiple people, making it easier to board other ships during an attack. 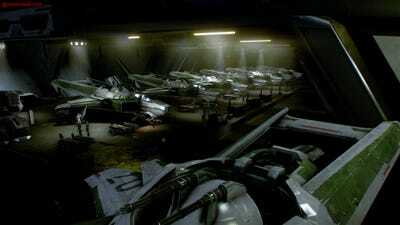 Inside, there's plenty of room to coordinate a boarding party and store stolen supplies. 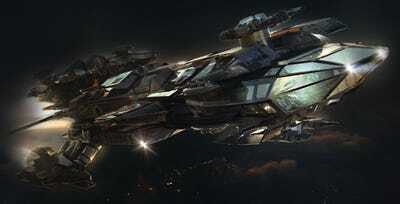 Larger ships like the Constellation can support a crew of multiple people, with bunks and turrets for battle. Here's a closer look inside the cockpit of the Constellation. 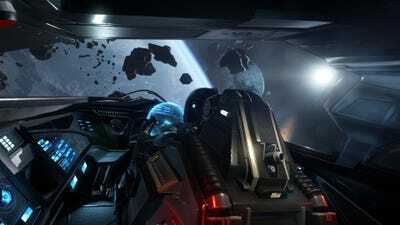 When you're participating in a dogfight in space, you experience everything from your character's point of view inside the cockpit. Here's a view from outside the cockpit. 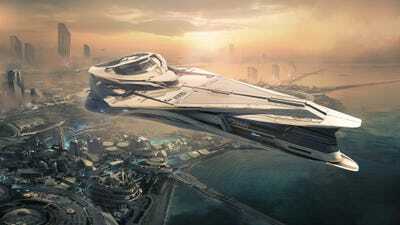 The 'Star Citizen' team is aiming for a crazy level of detail, with 10 times the amount of detail found in modern games today. When you realise how gigantic some of the ships are, the level of detail is stunning. During space battles, the game can tell exactly where you hit your target, allowing you to blow off chunks of the wing or even destroy life support. 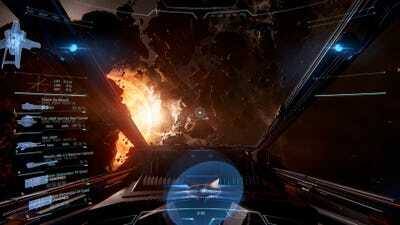 Here's what the first-person shooter portion of Star Citizen looks like. 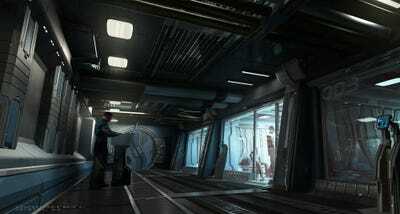 If you destroy the artificial gravity on a space station, you'll be able to fight in zero gravity. You'll also be able to explore various planets, purchase parts for your ship, check the bounty board, and hire crew for your ship. 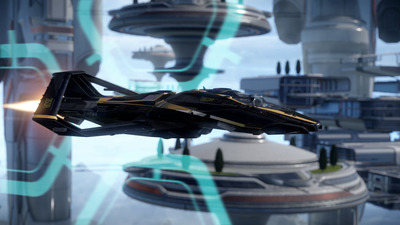 There's also an entire single-player campaign within 'Star Citizen' that lets you make your way up the ranks of the military. You can even buy your own cruise liner and start a business shuttling the wealthy to different planets. If you're into salvaging, the Reclaimer is a ship big enough to engulf another ship, perfect for finding the wreckage of an old battle. 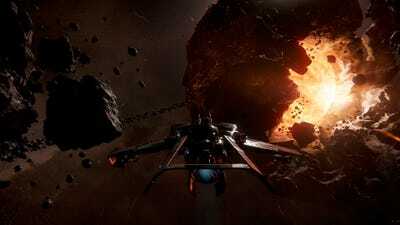 The ability to find your own way in the galaxy is what draws many to 'Star Citizen,' and with over $60 million in funding and counting, the future is looking bright for this ambitious game.